Our Group Fitness Classes Include Kettlebell Training And More! Take on our targeting training programs today with Group Fitness Classes that meet the needs of every goal and priority. Our team is proud to offer cutting-edge Kettlebell training under the StrongFirst Training System, plus a comprehensive On-Ramp system for our beginning CrossFit members and Semi-Private training for small groups looking to challenge each other every day. Join us at CrossFit Solaria in Omaha today for a dynamic Group Fitness schedule that can't be beat. Fill out the short form on your screen to get started! It doesn't matter if you're a complete beginner or an experienced athlete, our Group Fitness Classes at CrossFit Solaria have something for everyone! Kettlebell Training: This dynamic fitness routine revolves around the cast iron Kettlebell and can be scaled to meet any skill level. Our instructors push you through a high-energy routine designed to develop, maximize, and maintain strength. CrossFit On-Ramp: New to CrossFit? Learn the moves in no time with our On-Ramp program. 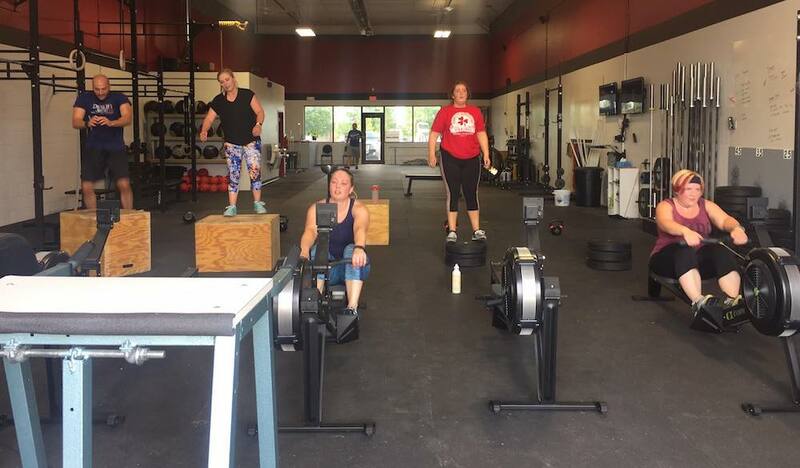 We help you build a foundation of skills and techniques with little or no weight, allowing you to jump right into our regular CrossFit Classes and train with complete confidence. Semi-Private Training: Want to enjoy individualized attention AND challenge a few close friends in the process? Our Semi-Private training gives you access to a professional instructor and a cutting-edge system of total-body fitness. At CrossFit Solaria, we're not interested in quick fixes and gimmicks. Our team is dedicated to providing you with the motivation and know-how to achieve incredible results and maintain them over time. Whether you're here to lose weight, build strength, or compete at the highest levels, we're ready to make it happen. Get Started Today With The Best Group Fitness Classes In Omaha! Don't miss out on everything we have to offer at CrossFit Solaria. Our Group Fitness Classes are designed to meet the needs of all fitness priorities and experience levels. Just fill out the short form on your screen to get started now or to learn more about everything we have to offer in Omaha!